Since the beginning of the Internet, websites are playing an important role in terms of providing entertainment and promoting the business. In the past it was quite difficult to make your own website as there was an involvement of various procedures and these procedures were also bit costly, but companies like HubSpot and WordPress entered in the world of internet and provided the best possible and the most easiest ways to make your own website. HubSpot and WordPress are two major organizations who are engaged in offering the best ready-made website packs, so if you want to make your own website then you just need to select the best design that comes in your range. 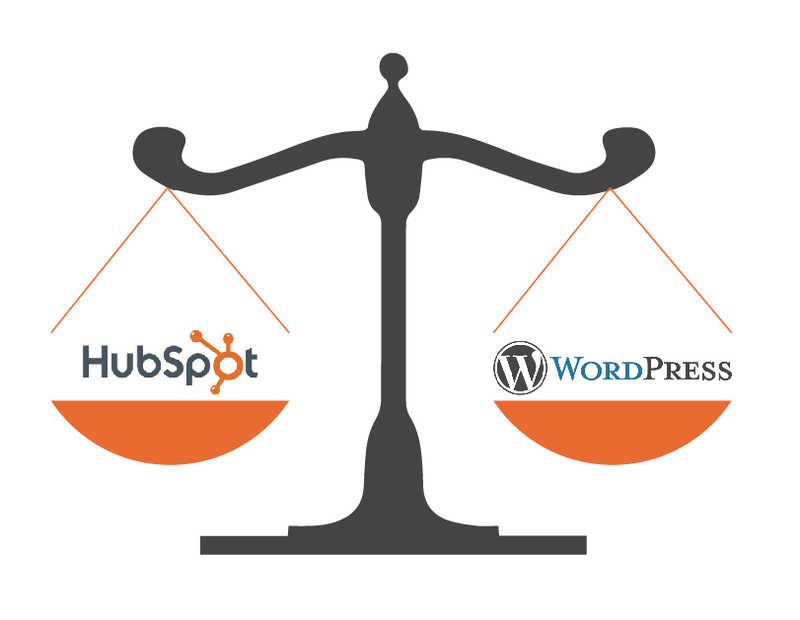 Some people prefer HubSpot and some are comfortable with WordPress, but there are few major things that might help you in understanding that which one is more appropriate and better for you. In WordPress templates you are just allowed to write the post and simply publish it on your desired date, it is simply a standard blogging with lack of integration with other features and tools whereas HubSpot is trendy and according to the new changes made by Google. Blog or websites by HubSpots are completely integrated with workflows, CTAs and contact lists and you can easily create RSS feed and email subscription. In order to make the landing pages on WordPress you will be required to have a “form plugin” because WordPress only has two categories, ‘the blog posts and standard web pages’, whereas HubSpot allow its users to make their website in a complete landing pages format. 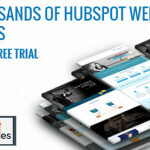 Through HubSpot, users can add forms through simple steps. If you are willing to use WordPress then you are able to schedule publications, create drafts, publish pages and insert media and to get more out of your WordPress website, you might need few important plugins. In the case of HubSpot website pages, you get proper SEO tools to market your website which helps in increasing visitors and also you get the advantage of template editor (drag-and-drop style). The pages of HubSpot website are completely friendly with all the social media sites and it also works with CTA generator. 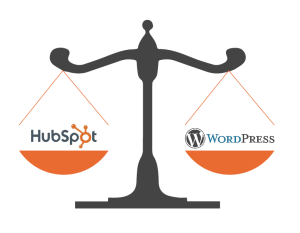 On comparing HubSpot with WordPress, it seems like HubSpot is more up-to-date with all the important features and options which are necessary for the users. 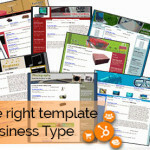 The template designs by HubSpot are unique and completely professional whereas WordPress seems to look similar most of the time and that is why HubSpot is much popular among various clients around the globe.